Looking To Sell Your Home In A Hurry – No Matter What Condition It’s In? – We Can Make That Happen! 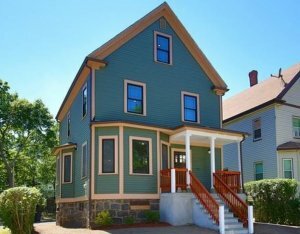 We are looking to buy houses in Boston, Massachusetts – with no hassle, no headache, and no frustration! We’re always trying to close deals quickly, offering a fair market value price and we paid all of the closing costs. If you’re looking to get out from underneath of property you’ve been trying to move, or just want a quick sale without any nightmares, we can help make that happen! 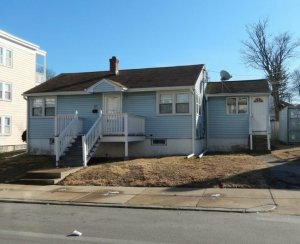 Even ugly houses catch our interest! Seriously – We buy ALL kinds of houses! 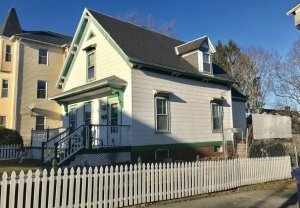 We Buy ALL Types of Houses in Boston! Homeowners all over Boston and in the greater Boston metropolitan area in Massachusetts are overjoyed that they finally have an opportunity to sell their home – in any condition, in any shape, and in any neighborhood – without having to deal with the headache and hassle that traditional realtors and the old-school home selling process inevitably entail. No longer do homeowners have to worry about their property sitting on the market while other homes are snatched up left and right, constantly depleting their bank account even though these homeowners would love nothing more than to get out from underneath these unsightly properties. Instead, by taking advantage of Dependable Homebuyers’ home buying program, any homeowner – literally ANY homeowner in Boston, Massachusetts in the surrounding area can sell their home for a nice profit in record time, all without any frustration whatsoever. No matter what your reasons might be for wanting to move on from a property we want you to know that we’re always happy to help in any way that we can. Maybe you have an older house that would need a major cash injection for a full on renovation and rehabilitation, or maybe you have a property that you fell in love with at a different stage in your life and now no longer want to have anything to do with. Maybe you’re sitting on the property that’s absolutely fantastic but just don’t want to have to fork over a mountain of money to greedy real estate agents, listing agents, and bankers that want to separate you from the profits you smartly invested in this property. Again, no matter what your reasoning might be we want you to know that Dependable Homebuyers can help you move this property in record time at a great price, all while we cover all of your closing costs (any extra fees that like to get “hidden” until the last moment during the traditional home selling process). Homeowners across Boston have already been taking us off on this opportunity, and we’ve been more than happy to offer fantastic prices for one of the strongest real estate markets in the United States. Our process is simple and straightforward, takes 7 days to complete once you accept our offer, inputs cold, hard CASH in your back pocket and in your bank account – all without you having to worry about covering closing costs or any extra surprise fees at any point in time. We Buy AS IS Houses in Boston! 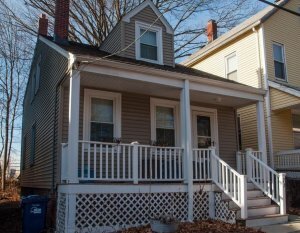 Some homeowners are little bit nervous that their property might not be able to fetch all that money in Boston because of its condition, its age, or a variety of other factors. We want you to know that we are honestly blind to almost every single issue other homebuyers are going to badger you about and had with you over. Instead, we want to make this is simple, as straightforward, and as streamlined process as we can. The best clients we work with are homeowners that are extremely motivated to sell their property, looking to CASH out quick without a long, drawnout, and expensive home selling process that can inevitably include all kinds of crazy curveballs and disappointments. In exchange, our clients expect that we are going to do our due diligence and research as quickly as possible (usually in as little as 24 hours after you have reached out to us) – and then they expect us to offer a fair CASH payout without any surprise fees attached! If this sounds like something that you’re interested in – or even if it just sounds like something you might be interested in learning more about – we hope that you will contact us at your earliest opportunity to receive a 100% free and absolutely zero obligation to move forward offer ASAP! Not Sure If You Want To Sell Your Home Right Now? – Our All Cash Offers Carry No Obligation! 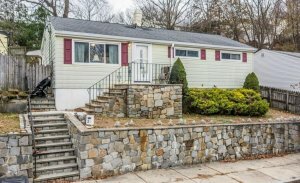 We Buy Houses in Boston! Maybe you aren’t 100% sold on the idea of selling your property in the first place, or maybe you aren’t completely sure that the kind of offer you could get would be worth selling it as quickly as you could when working with us. If that’s the case, Dependable Homebuyers encourages you to take advantage of our completely free offer program where we do all the research, we do all our due diligence, and we then give you a cash offer within 24 hours!– all without you ever having to take us up on that offer if it isn’t something that you’re happy with or satisfied with. You have absolutely NOTHING to risk whatsoever with this kind of offer, and everything to gain. At the very least, you’ll learn exactly how much we are able to offer you for your property as it sits right now (without you having to spend any money whatsoever on its upkeep or its upgrades). And there’s a fair chance that you’ll find this offer to be pretty fantastic, especially since it’s guaranteed and that will expedite the selling process just as quickly as we possibly can so that you can get out from underneath this property ASAP. All you have to do is contact us at your earliest convenience and we’ll make sure to get that offer over to you within 24 hours. Right out of the gate, it’s important that we let you know that Dependable Homebuyers is in no way, shape, or form realtors, property developers, or private and individual buyers that are looking to snap up a couple of properties every now and again that we can stick in our portfolio or rollover. Instead, we are a 100% legitimate company has been in business for years now purchasing properties out right – often times completely site unseen – and always with a 100% CASH offer that gets money in the hands of our clients faster than the traditional home selling process ever could. 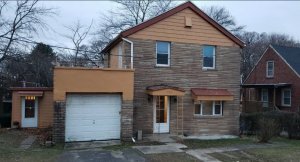 We are looking to purchase these homes to add to our business and aren’t leaning on banks or financial institutions, property development operations, or even local builders and contractors to make the pieces of this puzzle work. We are, however, an independent operation that’s interested in purchasing homes directly from home owners all over the United States. Dependable Homebuyers is able to offer our homeowner clients fantastic prices because we know exactly what we want out of these properties, and because we aren’t relying on the conventional real estate market in a specific locale – but are instead looking to add properties all over the US – we are able to pay more and a little bit faster than a lot of other operations out there right now. All you have to do to find out if we are right fit for one another is reach out to us at your earliest convenience for a 100% free, no obligation offer and see if this CASH in your pocket amount is something you’d be satisfied with. Homeowners that have gone through the traditional home selling process understand EXACTLY how much of a nightmare it can be, how long and drawn out it can get, and just how greedy the professionals trying to “help them” can get just as soon as an offer comes down the pike. The internet has definitely simplified the process somewhat, but even still there’s all kinds of hoops you have to jump through to sell a house the traditional road with the help of a realtor, listing agent, and financial institution – three different entities that at any point in time can slam the brakes on your deal for any different number of reasons whatsoever. All of them are interested in figuring out how they can make as much money from your property as possible for themselves, too. And that’s not the kind of position you should ever find yourself in – with other people reaching into your pockets while you’re going through this challenging home selling process to begin with. Instead, you can choose to work with us here at Dependable Homebuyers in Boston, Massachusetts and eliminate ALL of that headache and hassle INSTANTLY! 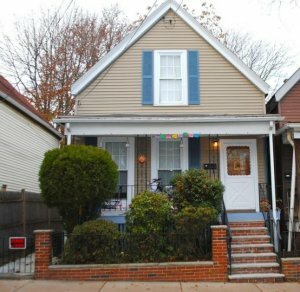 We Buy Houses in Boston, Massachusetts! The biggest advantage you’re going to have working with us here at Dependable Homebuyers is the ability to cash in on a legitimate CASH offer inside of 24 hours (or less) if you contact us about your interest in maybe selling your property to begin with. We are able to do this because we aren’t in the home buying and reselling market, aren’t trying to find buyers for your property so that we can act as the middleman, and because we aren’t dealing with overly expensive or convoluted marketing exercises that are little more than just spinning our wheels. When you choose to sell your property to Dependable Homebuyers, WE are the ones that are actually buying the property. There aren’t any third-party agents climbing into the fray, aren’t any extra or ancillary “professionals” trying to get their cut of your money, and you don’t have to worry about anyone getting greedy and trying to sideline your deal in hopes of maybe getting a couple more problems from your property shuffled over to their plate. You don’t have to worry about any financial institutions closely scrutinizing your credit history or your credit score. You don’t have to worry about potential buyers yanking your chain and wasting your time. You don’t have to worry about realtors that promise they are showing your property left and right but couldn’t even find it on a map if they were pressed. Best of all, you don’t have to worry about anyone standing in between you and a fair, cold, hard cash payment for your property – all without you having to pay any of the closing costs (or any other surprise fees, either). 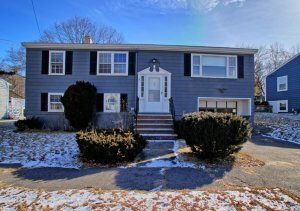 We Buy House in Boston! 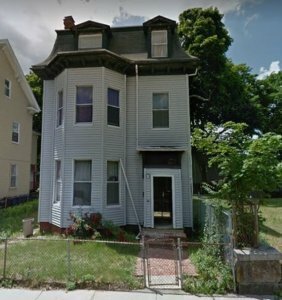 If you’d like to learn a little bit more about how Dependable Homebuyers can help you sell your property in Boston, Massachusetts (or the greater Boston community in Massachusetts) we love nothing more than for you to contact us! You can take advantage of our free offer form sprinkled throughout this page, can shoot us an email via our contact page, or can pick up the phone and give us a call whenever you have a little bit of free time. Again, just contacting us for an offer doesn’t necessarily mean that you have to accept our all-CASH offer. If you’re just interested in dipping your toe in the water, and want to see what kind of money you could get for your home (in any condition whatsoever, we never judge), you can do that, too. We would be more than happy to help you best understand just how much CASH we can get to you and how quickly we can have it in your bank account. All you have to do to get the ball rolling is reach out to us at your earliest convenience to get our research wheels turning, and then inside of 24 hours Dependable Homebuyers will be able to get back to you with our CASH offer that you can take, leave, or mull over. The ball is in your court – we love to help you move this property, even if you are under the impression that it would be almost impossible to sell it for anything close to a fair price. You wouldn’t be the first clients we surprised with a CASH offer much bigger than they expected coming their way! Don’t Delay! We’re ready to give you a fair, cash offer for your Boston, Massachusetts property immediately. No matter the condition, no matter the situation – you can sell your house fast without listing with a real estate agent. Fill out the form below for your no obligation cash offer!